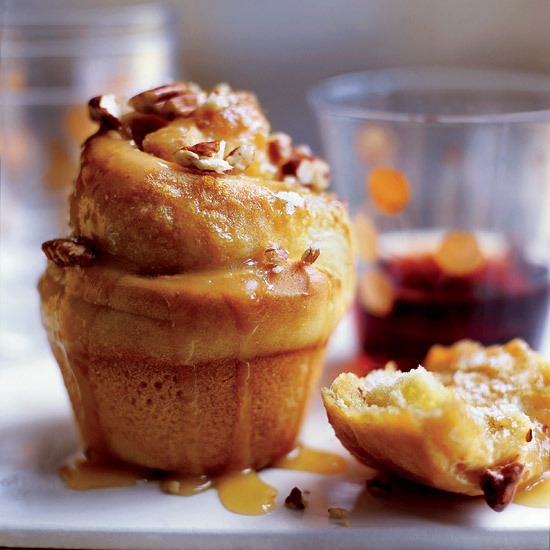 These terrific recipes include gooey cinnamon-pecan buns and buttery oversize biscuits. 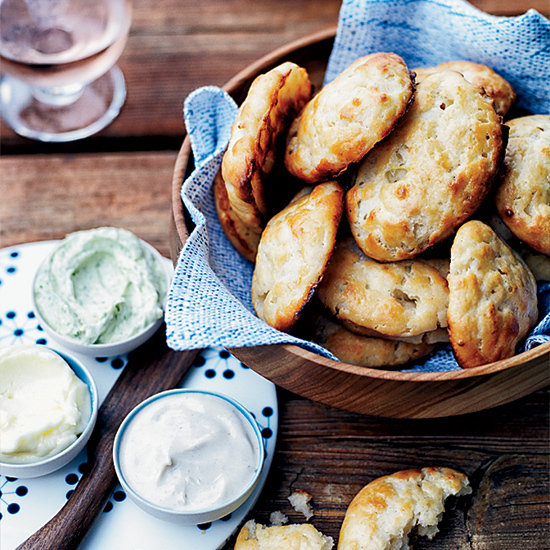 Bannock may traditionally be a heavy flatbread, but in the hands of chef Paul Berglund it becomes a tender, fluffy scone. 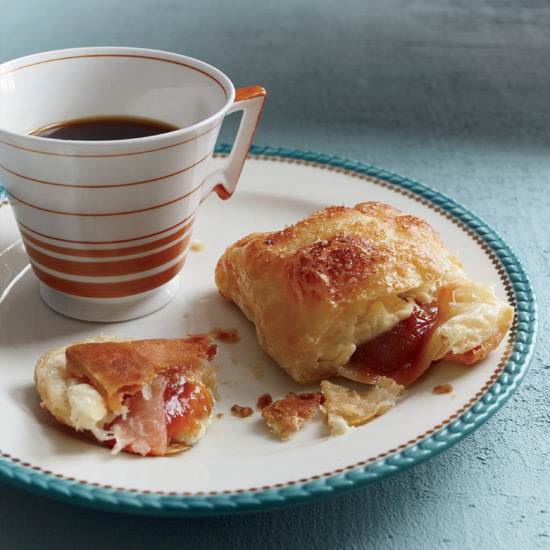 These delicious pastelitos "filled pastries" have a crisp, buttery puff-pastry shell. 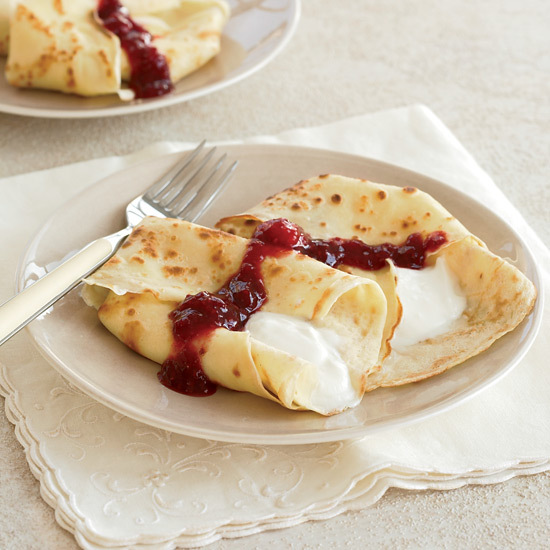 They're a great, easy-to-make dessert. 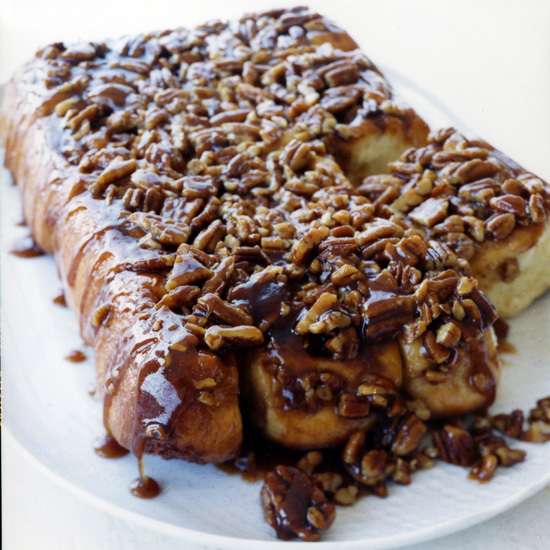 "Over-the-top, sticky, gooey goodness—or, as I like to call it, 'love.'" That's how pastry chef Catherine Schimenti describes the thrilling moment she first dipped a warm sticky bun into sweet-salty butterscotch sauce. Schimenti flavors the sauce with a splash of Scotch. 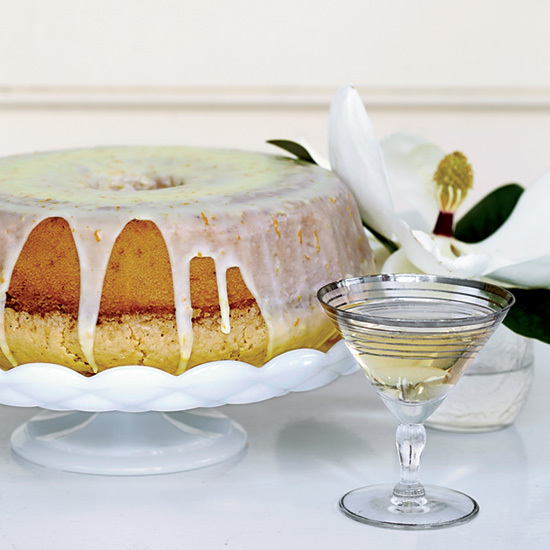 "I love adding glamour to old-school desserts," she says. 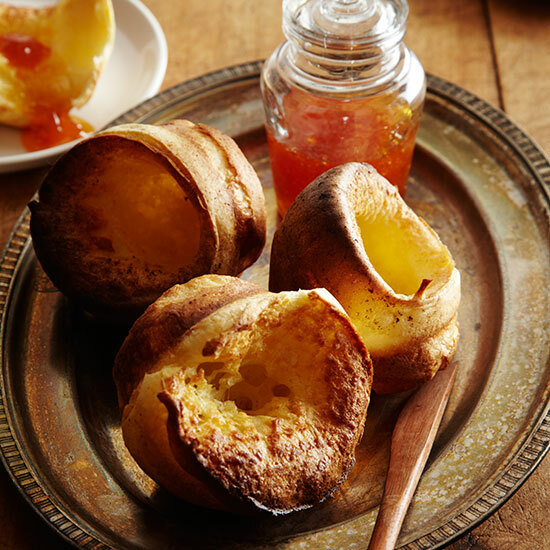 Grace Parisi loves popovers, but baking them can be tricky: They don't always rise as they should. 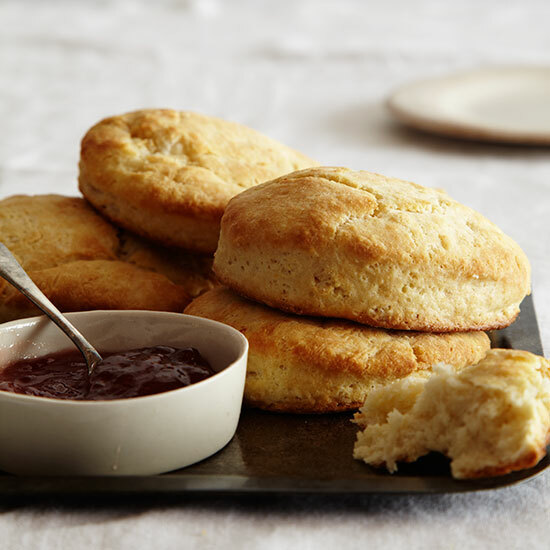 For these foolproof ones, Grace adds a bit of baking powder to the batter and chooses to use a regular (not nonstick) muffin tin. In the winter, Individually Quick Frozen (IQF) fruit, like the kind sold by Cascadian Farm, is often a superior alternative to fresh fruit shipped to the US. 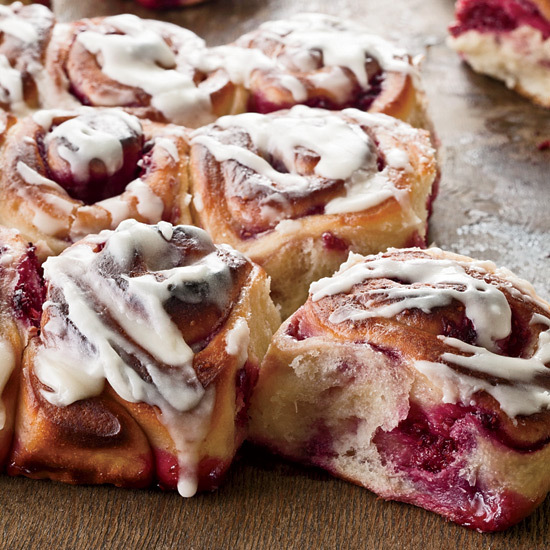 IQF raspberries are terrific in these soft, puffy yeast rolls—a fun twist on a cinnamon bun. Chef Spike Mendelsohn was inspired by the new beehive in the White House garden to make these lovely, not-too-sweet muffins. 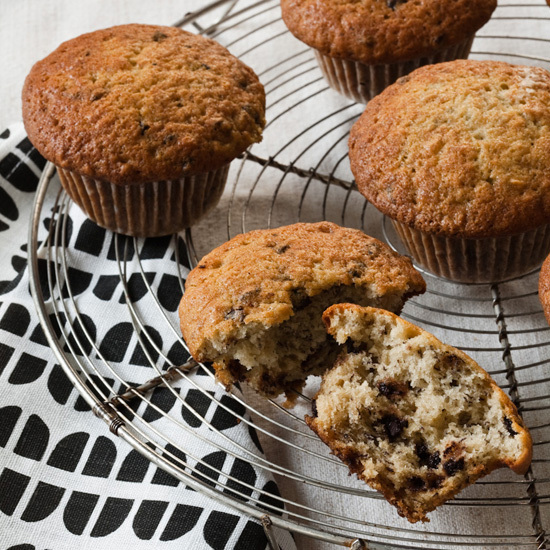 "I'm not a big breakfast eater, but I have muffins in my house right now," he says. 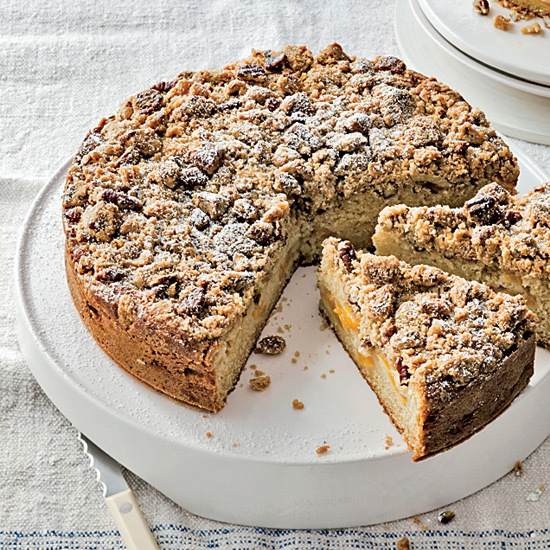 This cake is perfect all year because it calls for frozen peaches. 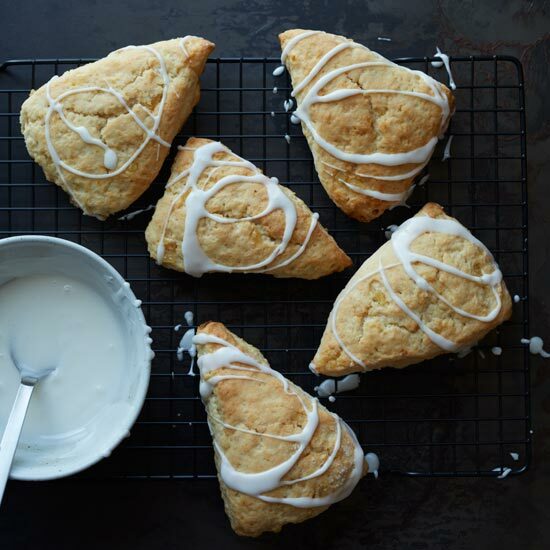 When baking these scones, be sure to use whole wheat pastry flour, which is less dense than whole wheat flour. 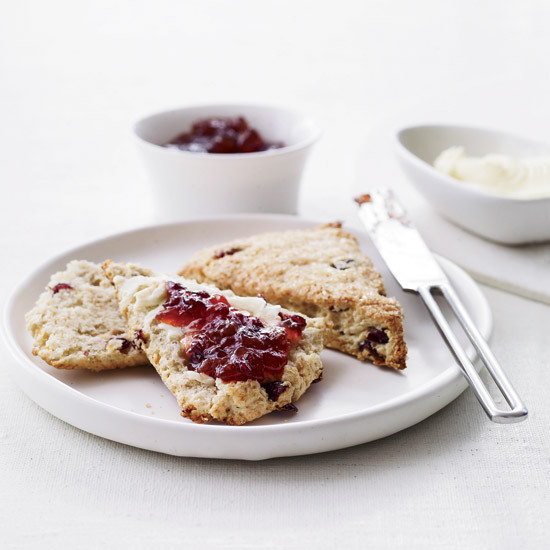 Mixing in some all-purpose white flour also lightens the texture of the scones, so they're more delicate and tender. 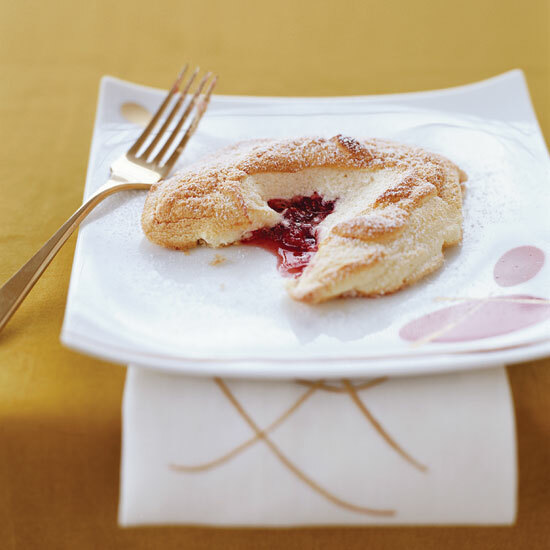 These ethereal free-form soufflés--filled with strawberry jam--are equally good for brunch or dessert. 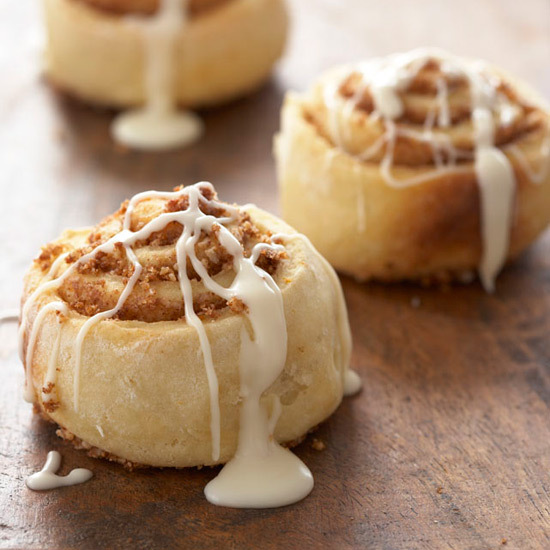 The honeyed glaze on these sticky, nutty breakfast rolls is luscious and soft when warm, then turns nicely chewy when cool. 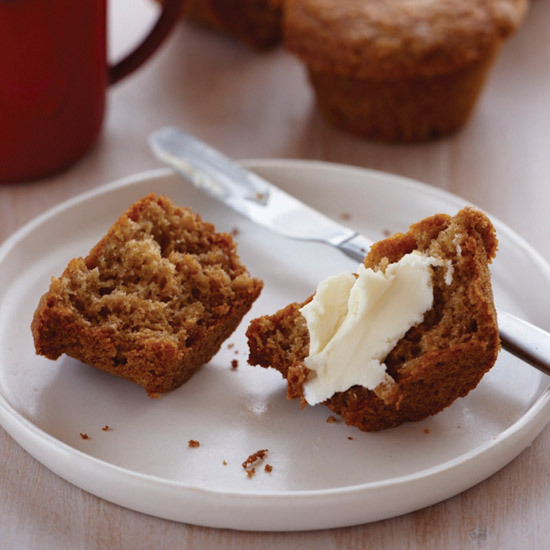 Like banana bread, these especially moist muffins by F&W's Grace Parisi are a great way to use up overripe bananas. Chopped toasted pecans would be delicious in them, too. 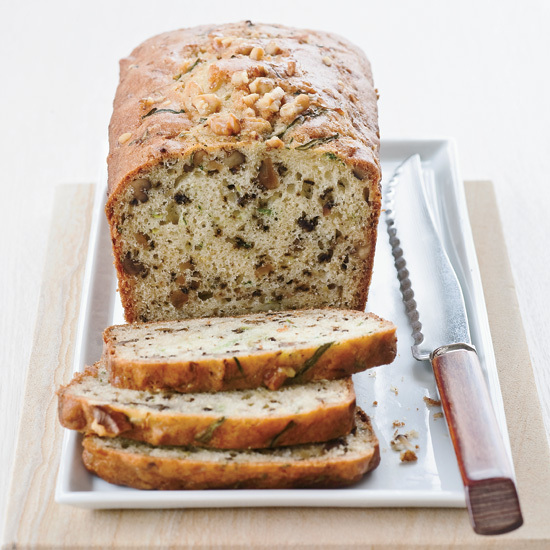 This cake can be made ahead and kept in an airtight container at room temperature for up to 3 days. 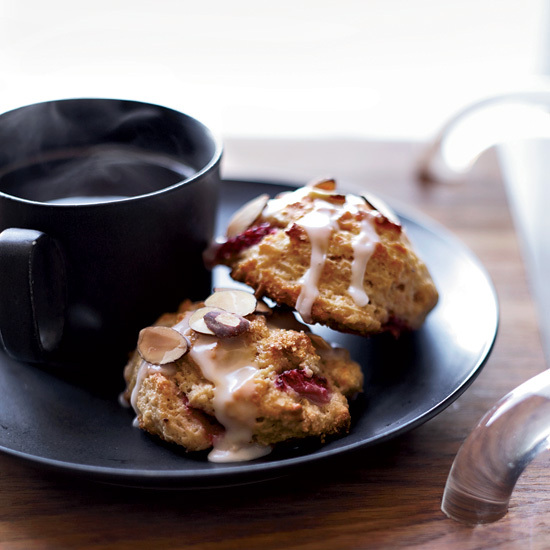 Christy Timon opened her bakery in 1982, hiring Abram Faber to help with deliveries. The now-married couple are revered as early champions of classic European baking. 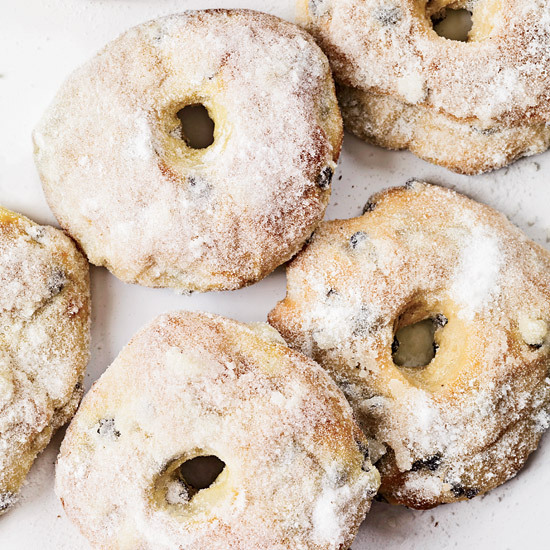 They continue to hunt down rare recipes, like these light doughnuts adapted from Robert Jörin, a third-generation Swiss baker at the Culinary Institute of America at Greystone.